The present Atlas is the result of the successive labour of many hands. Its original author was Dr. Samuel Butler, sometime head-master of Shrewsbury school and afterwards Bishop of Lichfield and Coventry. He edited Aeschylus, and was in his way a famous geographer. The work was at a later date twice revised, and its maps were re-drawn, under the editorship of his son. It has now been again revised and enlarged to suit the special needs of this series. Combining his interests and curiosity about the customs and workings of humankind, the 'Father of History' gives us an unforgettable account of the great clash between Greece and the Persian Empire. A matchless study of persons, places, and events. This is an account of the Peloponnesian War in Ancient Greece, fought between Sparta and Athens. It was written by Thucydides, an Athenian general who served in the war. 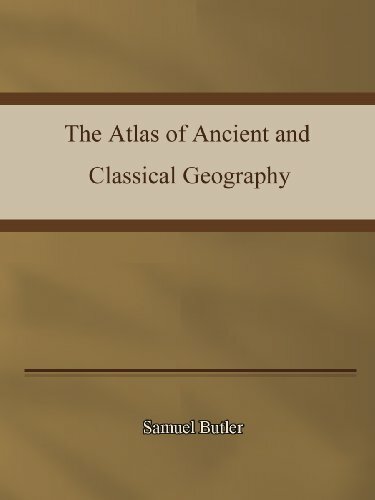 It is regarded as one of the earliest scholarly works of history. Provides a detailed overview of trading activity in the Roman and Byzantine Mediterranean, grounded in recent archaeological research. It is argued that free trade played a significant role in the nature of trading in Classical and Late Antiquity. A brilliant social history of the ancient world by one of the greatest biographers of all time. In his most famous and influential work, Plutarch reveals the character and personality of his subjects and how they led ultimately to tragedy or victory.